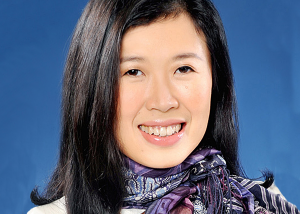 Cherie Nursalim is Vice Chairman of GITI Group, a diversified group with real estate development, manufacturing and consumer lifestyle presence partnering with world‐renowned brands throughout the Asia Pacific region. Cherie Nursalim earlier worked as a research associate at the Harvard Business School. She published an award‐winning book on an American‐Chinese Architect, and was among the co‐authors of a book ‘Indonesia Matters’ published by the World Economic Forum. She serves on the International and Asia Advisory Boards for Columbia University and MIT Sloan School of Management respectively. She is Chairman of the United Nations Global Initiative SDSN in Southeast Asia that will be based in Kura Kura Bali Indonesia, serves on the Global Commission on Business and Sustainable Development and the University of Indonesia Research Center for Climate Change and the Singapore Science Center boards. She is the trustee of the Tsinghua University Institute for Sustainable Development Goals, Institute of Philanthropy and among the founding trustee of the United in Diversity Forum. She is among the co founding members of the Global Philanthropic Circle with Synergos Institute in New York and Asian Philanthropic Circle Singapore. Cherie Nursalim is a recipient of Baiyulan Award from the Shanghai government and won Ministry of National Development award from Singapore government. She initiated initiatives for HIV AIDS awareness in Indonesia for GT organization which won awards from UNAIDS, International Labor Organization and the Indonesian government. A new Orchid species of Dendrodium was named after her as founding board of ‘Gardens by the Bay’ Singapore. Ms Nursalim serves on the Executive Board of International Chamber of Commerce, ICC Research Foundation Board and ICC Academy. She recently joined as advisory board to Teach for All and the Friends of the Oceans invited by the United Nations Envoy. Ms Nursalim is recently appointed on the advisory committee of One Belt One Road and as co‐chair of the Tri Hita Karana Forum on “Blended Finance and Innovation for Better Business Better World” co‐hosted with the Indonesian government. She received her Bachelor in Engineering Science and Economics from Oxford University, her Masters in Business Administration from Columbia Business School and is a World Economic Forum Young Global Leader alumni at Harvard Kennedy School.